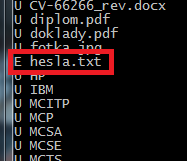 This command is great to handle encrypted files. Look at cipher /? command output.